Ugh...I got busy and the pouring rain the last few days hasnt helped me in getting Halloween shots. 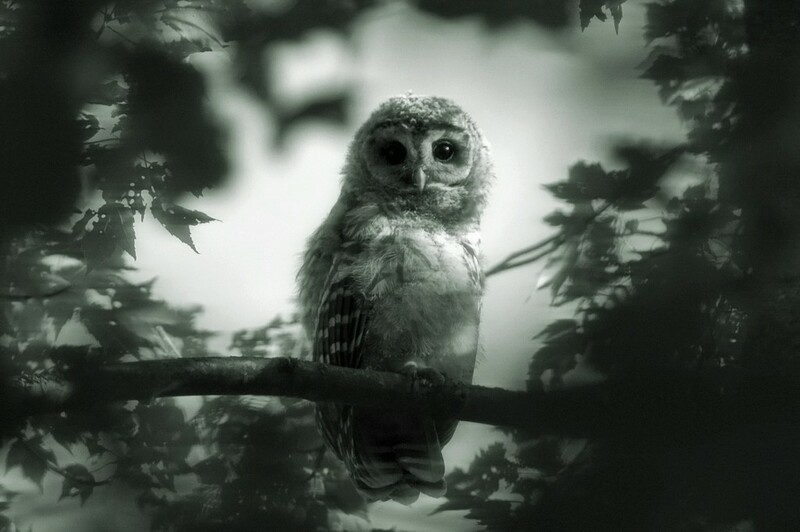 I decided to edit one of my owl pictures from this summer into a spooky pic. So, heres my cute little owl edited to look creepy?? This is great! Very nicely done - very spooky! @moonmtn @jesperani @tonygig @mlwerkheiser @elisasaeter @hermann @emma78 thanks everyone!! He's still too cute to be spooky! He does fit nicely (even if he's still cute) for Halloween. He's too cute to be spooky. Super fun with the processing! I agree with comments above - your little owl is much too cute to be spooky! @octogenarian Thank you! I do love him too!